"Why should man value himself as more than a small part of the one great unit of creation ?" 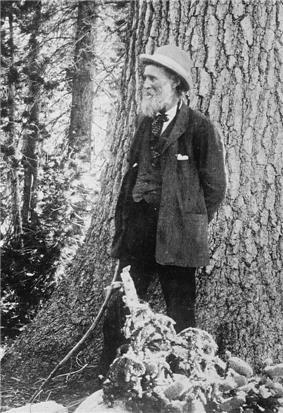 - John Muir. The protected areas of the United States are managed by an array of different federal, state, tribal and local level authorities and receive widely varying levels of protection. Some areas are managed as wilderness, while others are operated with acceptable commercial exploitation. As of 31 January 2008, according to the United Nations Environment Programme, the U.S. had a total of 6,770 terrestrial nationally designated (federal) protected areas. These protected areas cover 2,607,131 km2 (1,006,619 sq mi), or 27.08 percent of the land area of the United States. This is also one-tenth of the protected land area of the world. The U.S. also had a total of 787 National Marine Protected Areas, covering an additional 627,830 km2 (242,410 sq mi), or 67 percent of the total marine area of the United States. In addition, the World Commission on Protected Areas' 2009 database has over 10,480 protected areas listed for the U.S., including the state level protected areas. Federal level protected areas are managed by a variety of agencies, most of which are a part of the National Park Service, a bureau of the United States Department of the Interior. They are often considered the crown jewels of the protected areas. Other areas are managed by the United States Forest Service, the Bureau of Land Management and the United States Fish and Wildlife Service. The United States Army Corps of Engineers is claimed to provide 30 percent of the recreational opportunities on federal lands, mainly through lakes and waterways that they manage. The highest levels of protection, as described by the International Union for Conservation of Nature (IUCN), are Level I (Strict Nature Reserves & Wilderness Areas) and Level II (National Parks). The United States maintains 12 percent of the Level I and II lands in the world. These lands had a total area of 210,000 sq mi (540,000 km2). There are existing federal designations of historic or landmark status that may support preservation via tax incentives, but that do not necessarily convey any protection, including a listing on the National Register of Historic Places or a designation as a National Historic Landmark. States and local zoning bodies may or may not choose to protect these. The state of Colorado, for example, is very clear that it does not set any limits on owners of NRHP properties. Every state has a system of state parks. State parks vary widely from urban parks to very large parks that are on a par with national parks. Some state parks, like Adirondack Park, are similar to the National parks of England and Wales, with numerous towns inside the borders of the park. About half the area of the park, some 3,000,000 acres (1,200,000 ha), is state-owned and preserved as "forever wild" by the Forest Preserve of New York. Wood-Tikchik State Park in Alaska claims to be the largest state park by the amount of contiguous protected land; it is larger than many U.S. National Parks, with some 1,600,000 acres (650,000 ha). Many states also operate game and recreation areas. ^ a b Carley, Rachel (2001). Wilderness A To Z. An Essential Guide to the Great Outdoors. New York - London - Toronto - Sydney - Singapore: Simon & Schuster. ^ a b "Summary of protection by Country and Territory on the 31st January 2008" (XLS). UNEP. World Database on Protected Areas. 2008-01-31. Retrieved 2009-04-13. ^ "WDPA: United States". World Database on Protected Areas. World Commission on Protected Areas. 2009. Retrieved 2009-04-14.